Versatile brush roll is good for keeping brushes dust free at home, and protected while you travel. 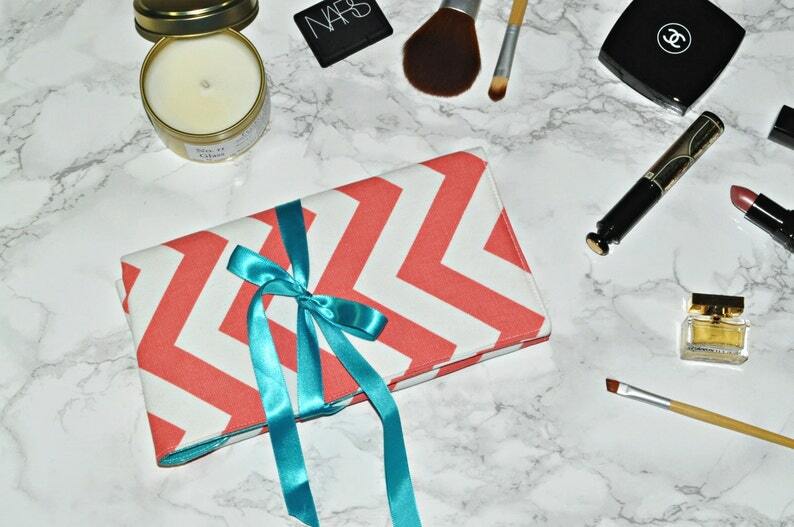 Keep all your favorite/most used brushes organized and easy to find - vibrant coral and white chevron is paired with a bright turquoise lining and matching ribbon ties. You want to store your makeup brushes in something cute and pretty, but something that's easy to clean - because who has time to clean their brushes right before you pack them up? Brush slots in varying widths allow you to mix and match the number of brushes to take on that girl's weekend with your friends, or long vacation. These brush rolls are a great gift idea for bridal parties or anyone with a love for makeup.